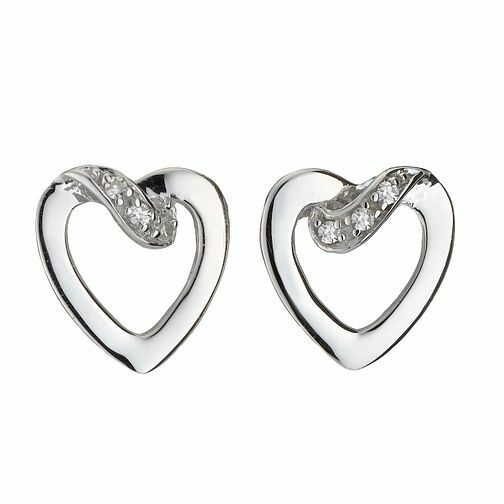 Spread a little love with this elegant pair of 9ct white gold love heart earrings set with dazzling diamonds. Glamorous jewellery for glamorous women. 9ct white gold diamond love heart earrings is rated 4.8 out of 5 by 4. Rated 5 out of 5 by Anonymous from Lovely gift Beautiful earrings, lovely size. Simple and elegant, good size stone too. Rated 5 out of 5 by Anonymous from Happy wife Very nice earings that my wife was delighted with. Delighted with prompt delivery.